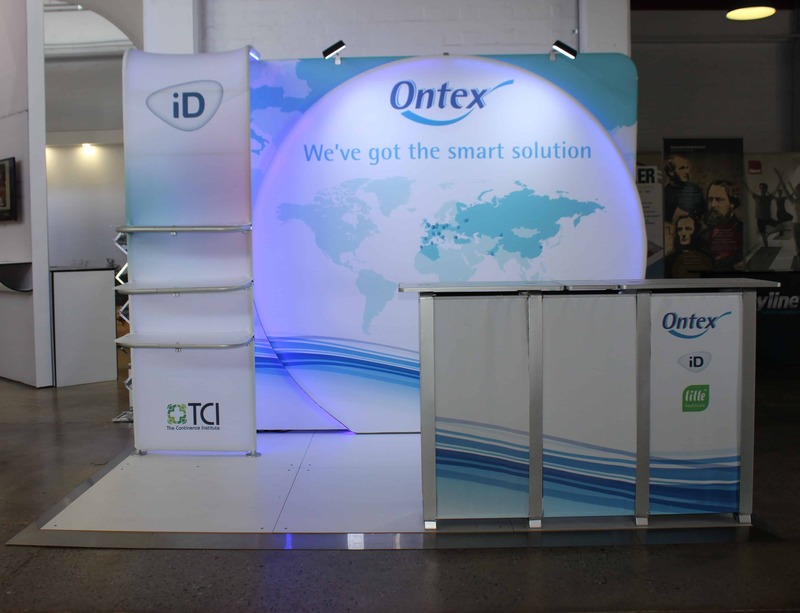 Stretch Fabric Wall with Overlay and Tower and Double Transaction Table. 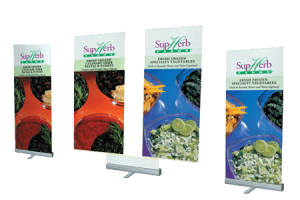 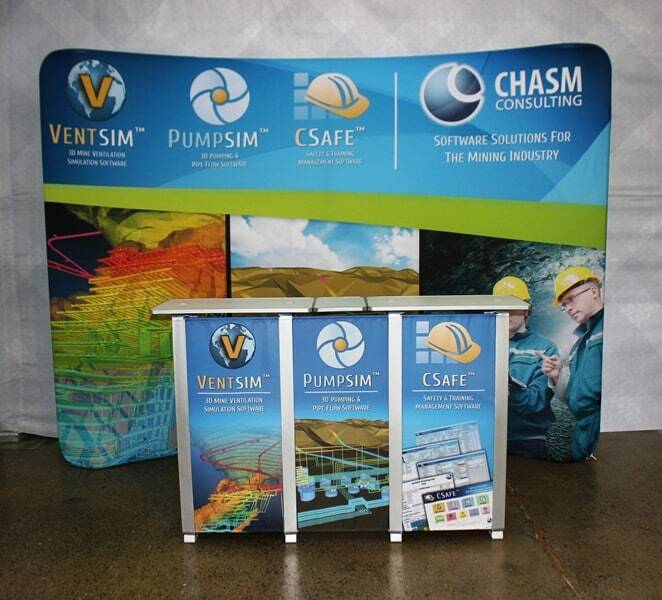 Stretch Fabric Wall Kit with Double Transaction Table. 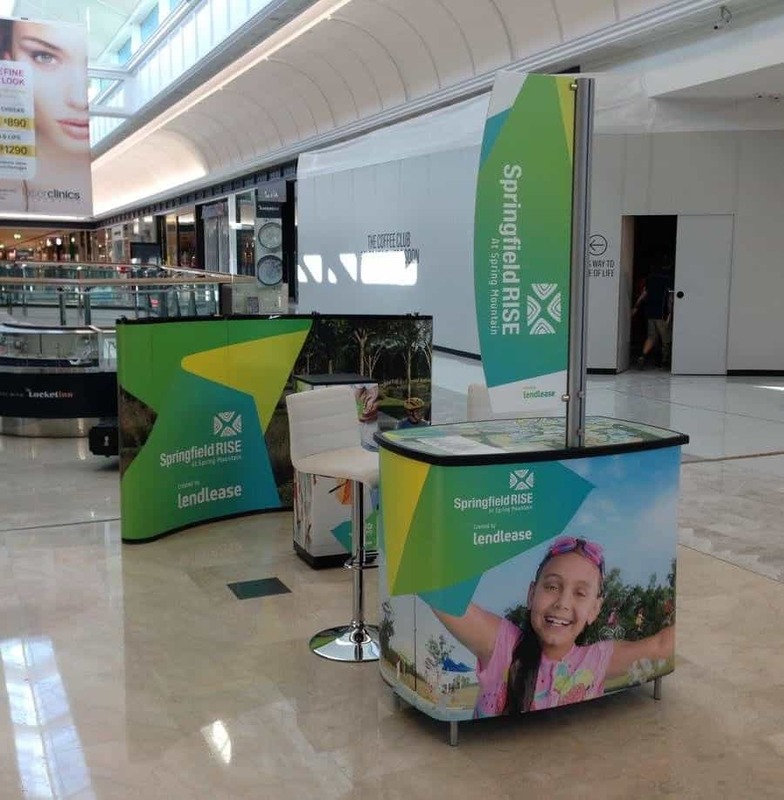 Mirage Pop-Up Display with Stratus Table for use in Shopping Centres.